This day in age people look down on work at home moms. As if taking care of your family and being with your kids is something to be ashamed of. Well, it’s the best decision I’ve ever made and I would NEVER go back to working for corporate America or any other entity. Working from home gives moms, and women, in general, the opportunity to find their passion and purpose. There’s nothing better than owning your own business and being in control of your schedule. Being a work at home mom doesn’t mean you sit at home all day and do nothing. Get the kids on a schedule and work around it. If they’re school aged it works out even better! Being a business owner takes dedication, time and motivation. Even when you do it from the comfort of your own home. Stay motivated to accomplish whatever you want. Tiffany is a Freelance Marketing Writer and Social Media Manager. 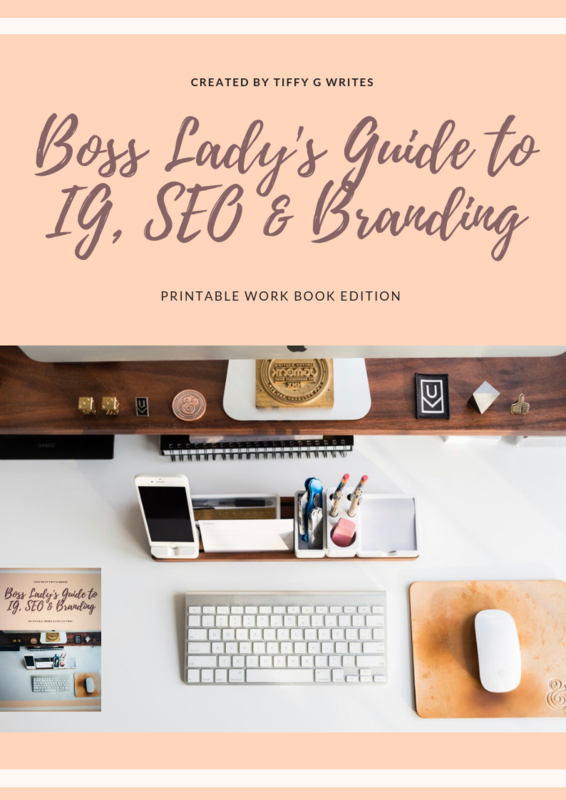 She dazzles her client's web content, email campaigns, blog, and social media platforms (IG, FB, Twitter, ​and LinkedIn) Comprehensive social media strategies allow me to drive massive sales for my service based clients while expanding their website traffic and social accounts massively. When she's not creating content for small businesses and entrepreneurs she's spending time with her 3 kids, and husband or planning the next family vacation.